Enemy forces surround you. You grip your double swords in anticipation. The air stirs. You swiftly dodge an enemy arrow. It grazes a forearm, but you are unharmed. The Kendra Leather Bracers for Ladies protected you from injury. 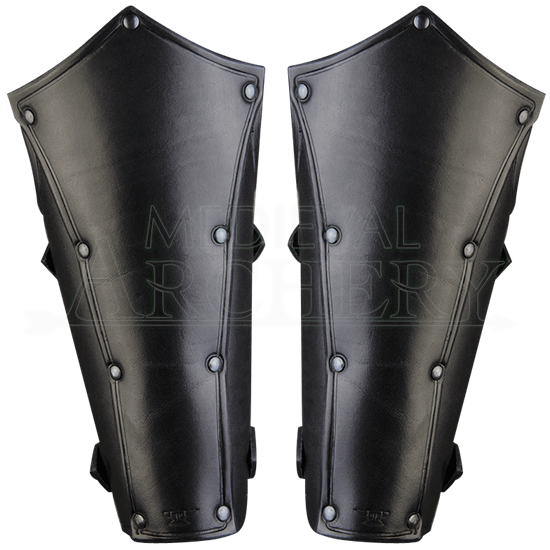 Crafted from excellent leather, these arm guards are perfect for LARP and other reenactment activities. 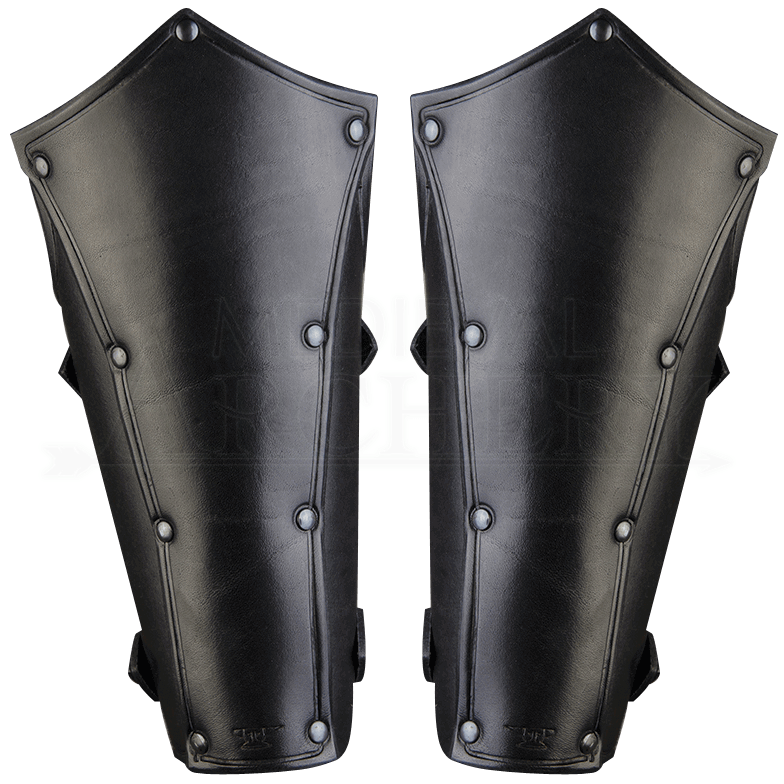 Stylish edging and rivets add eye-catching detail to your armour. Two adjustable straps on the inner side allow for a custom fit. These bracers go nicely with the rest of the Kendra armour set. Be properly armored as you swiftly turn from defense to offense.